Europe is an ideal destination to drink beer, as so many old breweries and authentic pubs are there. 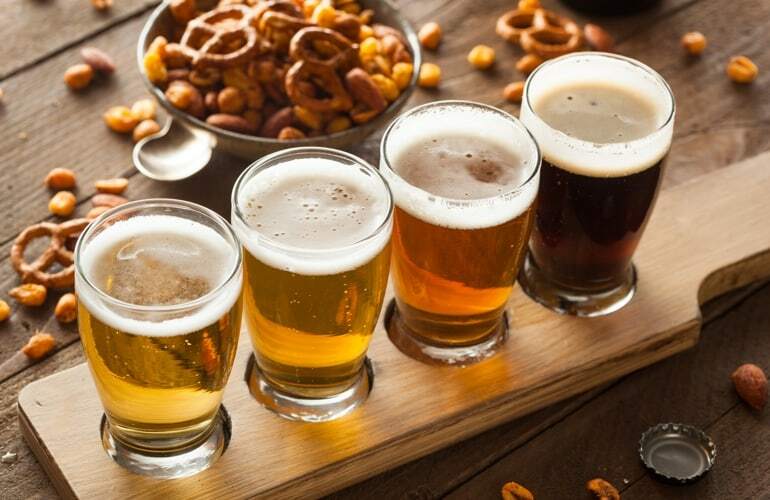 Blond beer, golden lager, dark stout, pale ale and other craft-brewed beers are produced by original recipes passed on from generation to generation. 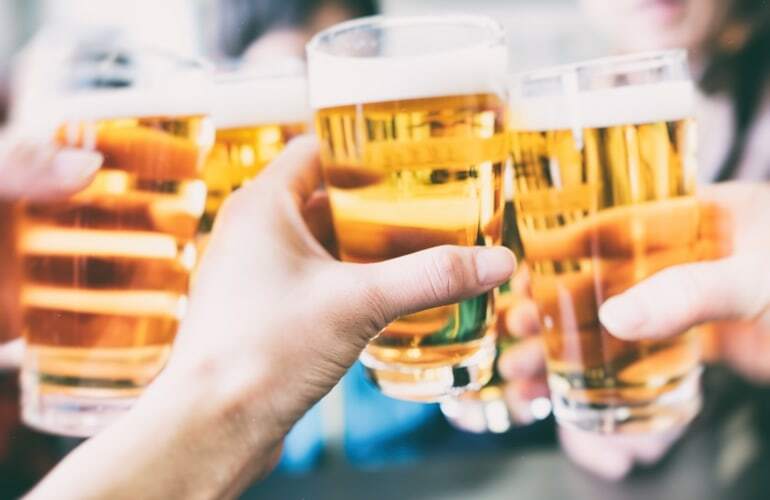 Thus, if you’re on the hunt for the best beers, we've got six ideas for tasting - check out the list below and hop on a train! This city is justifiably often called the beer capital of Europe. From the Middle Ages until nowadays Bruges is famous for its breweries, where you can taste the best of belgium beers: white or wheat one, lambic beers or different ales. Moreover, the city itself is one of the Belgium’s best-preserved medieval cities, with its colourful bricks, circling canals and stunning medieval architecture. 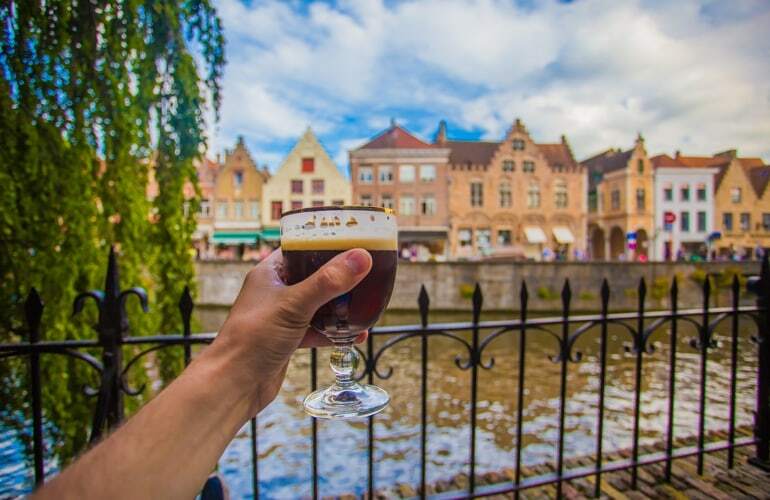 Beer lovers would appreciate the Beer & Chocolate Tour in Bruges through the historic center of Bruges with visiting a chocolate museum and a real authentic brewery. Situated on the border of French and German cultures in beautiful Alsace, Strasbourg is a true cradle of french beer. In fact, the two country's biggest breweries - Kronenbourg and Fischer - are situated in this important beer-producing region. Local bars and pubs will also serve you several other types of the “barley and hops” drink. For exemple, try to get a bottle of Kohler-Rehm and taste best belgian craft beers in La Lanterne - little pub in retro style with affordable prices. Once you are in the city of Red Lights, numerous bars and pubs will seduce you to get a pint of fresh cold beer. Perhaps all the menus will contain a Heineken beer, as this is a birthplace of this world famous brand. ...and employs around 73,000 people! Don’t miss the opportunity to visit this mecca for beer lovers! Additionally, don’t forget to taste other dutch beers such as Amstel, Grolsch, or Brand. These ones serve a variety of styles and they will surely satisfy even the most discerning clients. The capital and most populous city of Denmark is also famous worldwide for Tuborg and Carlsberg factories. However, we suggest you to draw your attention on other breweries, producing local authentic beer. For example, Mikkeller brewery is a producer of iconic Danish beer, but also other spirits, such as calvados, botanical gin, vodka cocktail, rum and bourbon. By the way, in Copenhagen the place where you can hang out and drink some alcohol drinks is called “bodega” - the Danish version of “pub”. 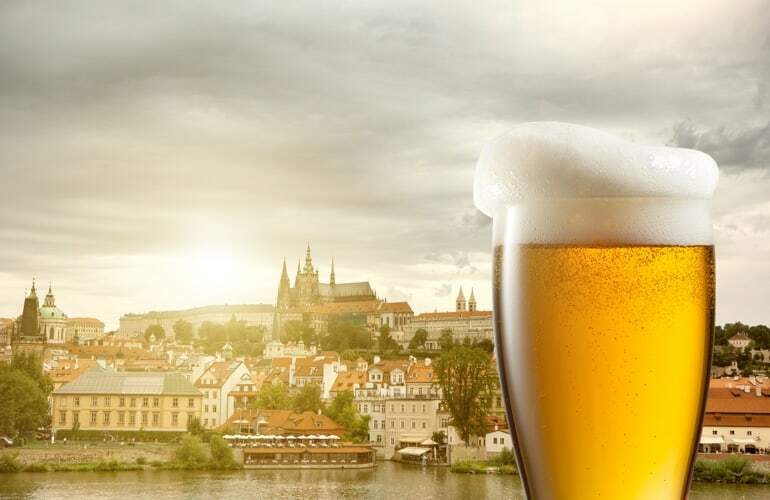 The beautiful city of Prague will meet you with paved streets, numerous tourist attractions and, of course, with a pint of good beer. Indeed, this city is worthy to visit at least in order to taste its well-known Staropramen and genuine Pilsner. By the way, simply asking for a beer at the bar will get you a pale lager or pilsner in a 33cL glass, as these are the most common czech beers. This is not a secret that beer is a major part of german culture. There is even a "German Beer Purity Law which prohibits the using any other ingredient except water, hops, and malt in its production! 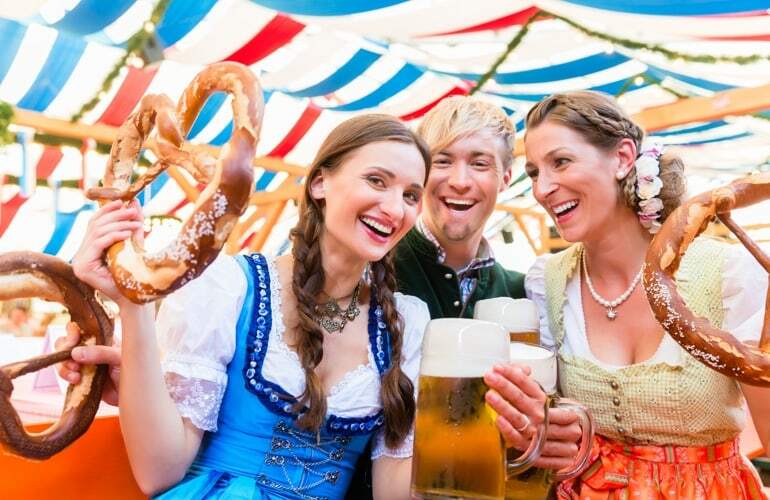 Moreover, Munich is a venue where the largest folk fesvival - Oktoberfest - takes place. Every year in September / October more than 7 million people visit this remarkable event! 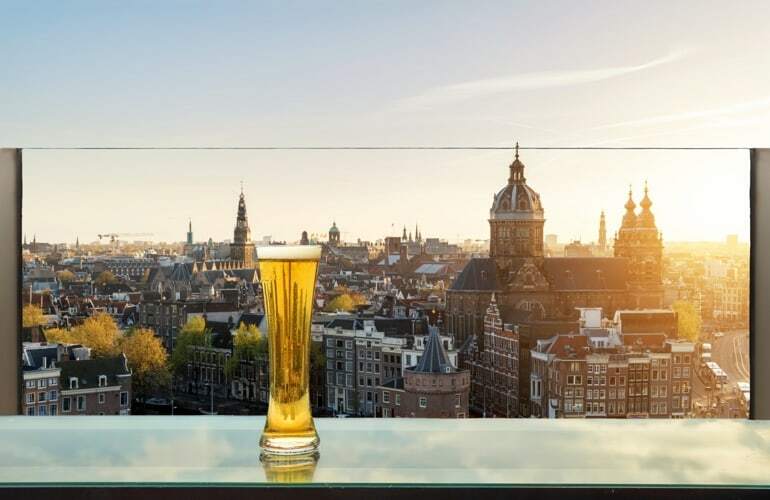 Surely this city merits its name of the beer capital of Europe, so if you once plan to visit it, consider to prepare yourself for degustation of lots, lots, lots of beer!